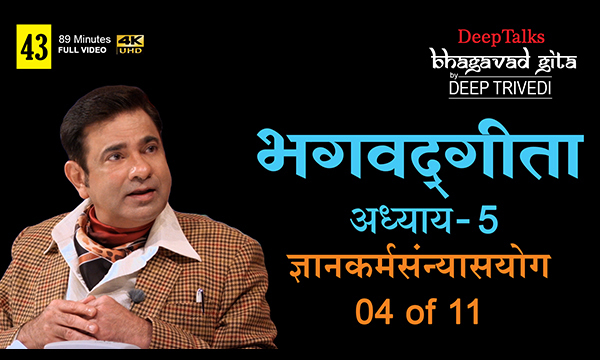 In Adhyay 4 of the Bhagavad Gita, Deep Trivedi speaks about how to attain True Knowledge. He also explains that to attain success, you first need to look inside you as true knowledge lies within oneself. Deep Trivedi asks his viewers to stop looking for the answers to their woes and worries elsewhere, but explore the Truth that lies within. He says that the world is a battlefield and the only people who win their battles here are the ones who have attained True Knowledge. And this is how even the most powerless people made their biggest mark in the world and so shall you.